With a name like “IncredibleBankSM,” expectations start high. Based in Wausau, Wisconsin, this financial institution is known to deliver the goods. 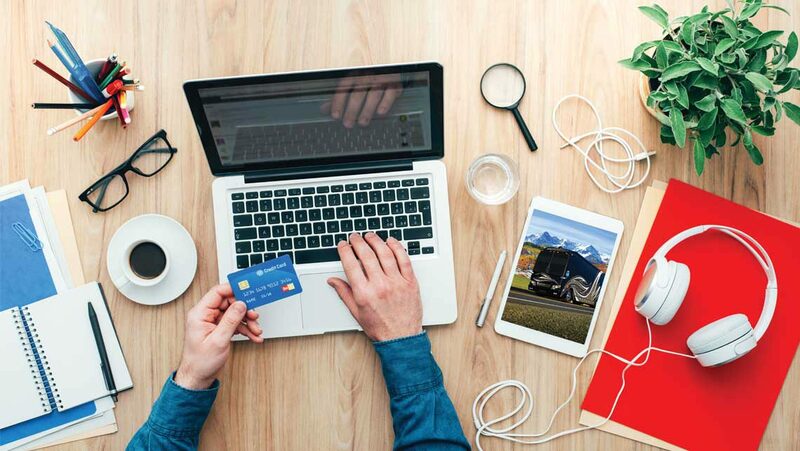 An online bank dedicated to providing top-notch personal service to luxury RV buyers, this financial institution is changing how people in the luxury RV industry do business. For most, buying a Marathon coach isn’t purely a financial transaction – it’s much more personal. For many, it’s the bridge to an ideal adventure, the opportunity to engage more meaningfully with family and friends. It’s downtime elevated to something higher. For the bank’s Chief Executive Officer (CEO), it’s also personal. Owning a luxury RV of his own, Todd Nagel, IncredibleBankSM CEO, knows both the needs and the desires of coach owners. Whether interacting with a Marathon Salesperson or a banking professional, Marathon believes our clients deserve the best customer care in the nation. That’s why we choose IncredibleBankSM. Those people, IncredibleBank Concierges, are a simple phone call away for anyone who has questions about their deposit accounts or loan, the mobile app or the application process. Their motorhome lending experts are ready to walk you through every step of the financing process, whether you’re refinancing, just starting to look for a luxury RV, already have one in mind or are ready to apply. And, known to approve and turn around loans in 48 hours, you’ll have all the information you need when you need it. Let them use their expertise to help you find the right rate, loan term and loan structure to best meet your goals. Ready to learn more? IncredibleBankSM is the bank of choice for luxury motorhome loans. Visit their website at www.incrediblebank.com/ and let them help you get on the road!